THE PAPER | Re-Examining the Involvement of Converts in Islamist Terrorism: A Comparison of the U.S. and U.K.
Home / Counter Intelligence / Counter Terrorism / Papers / United Kingdom / United States / THE PAPER | Re-Examining the Involvement of Converts in Islamist Terrorism: A Comparison of the U.S. and U.K. This article explores the role of converts in the ‘Global Salafi Jihad’ based on a sample of 75 American and 47 British converts who became involved in Islamist terrorism between 1980 and September 11th, 2013. Converts are compared to non-coverts on a variety of demographic, operational and investigative variables, and each sample is further divided into those who mobilized before and after 9/11 in order to allow assessment of changes over time. Contrary to previous research, results show that American converts in particular constitute a “jihadi underclass” that is markedly disadvantaged compared to the rest of the U.S. sample. They also present a generally less capable terrorism threat and are especially likely to be caught in sting operations. British converts, whilst also clearly disadvantaged and less capable, are much less distinct compared to non-converts in the U.K. Practical and theoretical implications of these findings are discussed. Keywords: Islamist; terrorism; jihad; converts; United States; United Kingdom. From Richard Reid to Omar Hammami, the involvement of converts in Islamist terrorism has been a subject of much interest, yet there has been relatively little in the way of systematic research. A notable exception to this is the work of Robin Simcox and Emily Dyer, who found that American converts “were likely U.S.-born young men with a good education who had since found regular work” and were on a similar socioeconomic footing to the rest of their sample. Utilizing a somewhat broader sampling frame, this paper re-examines the involvement of American converts in Islamist terrorism and compares them to British converts whilst also taking into account changes over time. Although there are broad similarities between the two bodies of research, the conclusion here is that American converts in particular constitute a highly marginalized “jihadi underclass” which is markedly worse off than the rest of the sample. This suggests a rather different reality than Simcox and Dyer depict, thus raising important questions about how and why converts are drawn to Islamist terrorist activity in the U.S. and what this means for counter-terrorism (CT). This is a critical issue in light of the recent increase in Islamist terrorist activity, combined with the fact that that converts make up for a significant percentage of such cases in the U.S.
Was publicly alleged to have been involved in GSJ-related terrorism but had not been subject to any legal action (including, for example, numerous individuals from Minnesota who are believed to have joined al-Shabaab). In addition, each sample was divided into those who mobilized before and after 9/11 in order to evaluate changes over time. Finally, while Simcox and Dyer examined 11 variables (7 relating to demographic backgrounds and 4 to operational behavior), the analysis here covers 14 (8 demographic, 5 operational and 1 relating to investigations). The findings for demographic, operational and investigative variables before and after 9/11 are summarized in Tables 1 and 2 below. In the ensuing discussion of results, American converts vs. non-converts are compared first, followed by the equivalent comparison for the British sample. Table 1: Converts vs. non-converts involved in Islamist terrorism in the U.S. who mobilized before and after 9/11 (1980–September 11th 2013). *FTs refers to foreign terrorists. Table 2: Converts vs. non-converts involved in Islamist terrorism in the U.K. who mobilized before and after 9/11 (1980–September 11th 2013). More than 90% of all individuals in both the American and British samples, before and after 9/11 were male. Although the number of females becoming involved has increased over time, there is no obvious difference between converts and non-converts, or between the U.S. and U.K. While Simcox and Dyer found that American converts were significantly older than non-converts, this result was not replicated here and the average age in all groups was in the mid to late 20s. Nevertheless, in accordance with the previous study, American converts were found to be much more likely than non-converts to be born in the U.S. (more than 80% compared to 13% of non-converts before 9/11 and 25% after 9/11). Similarly, U.S. converts were more likely to be American citizens or permanent residents (almost 100% vs. 57% of non-converts in the pre-9/11 sample and 78% afterwards). By comparison, these differences were far less pronounced in the U.K. where, for example, 83% of converts were British citizens/permanent residents compared to 74% of non-converts after 9/11. The remaining findings in relation to demographic variables are much more revealing. Simcox and Dyer found that overall, American converts did not differ greatly from non-converts in terms of education, although they were more likely to have obtained a college degree (20% vs. 8%). They further found that converts were more likely to be employed and in particular to be in skilled occupations (35% vs. 15%). In the present study, the figures are rather different. Among those who mobilized before 9/11, 28% of American converts had obtained a degree, compared to 23% of non-converts, yet they were more likely to be unemployed (12% vs. 4%) and less likely to be in skilled occupations (4% vs. 19%). During the same period, British converts did not appear to differ significantly from either the rest of the British sample or from American converts. After 9/11, however, there are some quite dramatic differences. Just 10% of American converts had obtained a degree, compared to 17% of the rest of the U.S. sample. In addition, 25% of American converts had failed to complete high school, compared to just 7% of non-converts. They were also less likely to be in skilled occupations (4% vs. 10%) and much more likely to be unemployed (28% vs. 4%). Furthermore, American converts were more than twice as likely to have a previous criminal record (56% vs. 20%) and were three times as likely to have a documented history of mental health problems (25% vs. 8%). By contrast, although British converts were also worse off than their compatriots, the differences were generally less. In terms of education, 3% of British converts had obtained a degree compared to 11% of the rest of the U.K. sample, but just 1 convert (3%) had failed to complete high school compared to 3 non-converts. Just 3% of individuals in either sub-sample were in skilled occupations; however, converts were much more likely to be unemployed (31% vs. 16%). British converts were also more likely to have a criminal record (29% vs. 17%) but there was little difference in terms of mental health issues (9% vs. 6%). Previously, Simcox and Dyer found that American converts were less likely to have received terrorist training (25% vs. 51% of non-converts), equally likely to have combat experience (18%) but more likely to have received training and then progressed to combat (54% vs. 33%). They further found that converts were less likely to be connected to designated terrorist organizations (DTOs) (38% vs. 63%) and seemingly less likely to be involved in terrorist plots against the U.S. (excluding plots involving undercover operatives). Overall, these results suggest that converts are less of a terrorism threat, compared to non-converts. Although the findings from the present research generally confirm this, they also help to highlight important changes that have taken place over time as well as differences on either side of the Atlantic. In terms of links to foreign terrorists (DTOs or otherwise), American converts are indeed less connected than non-converts (68% vs. 78% before 9/11 and 22% vs. 46% afterwards). Prior to 9/11, American converts were more likely to have trained and/or fought overseas (60% vs. 42%). After 9/11, however, the pattern has reversed – the respective figures being 12% vs. 22%. There has also been significant change in relation to planning of terrorist attacks. Before 9/11, there was very little difference: 16% of American converts and 15% of non-converts were actively involved in planning attacks. Yet after 9/11, the percentage of converts rose to 44%, compared to 23% of non-converts. Finally, the number of lone-actor terrorists has also increased, in particular for converts where the figures rose from 0 before 9/11 to 16% afterwards (compared to an increase from 2–8% for non-converts). Although the changes that have occurred in the British sample have all been in the same direction, the differences between converts and non-converts are less. Before 9/11, 92% of British converts had links to foreign terrorists, compared to 90% of non-converts. After 9/11, the figures dropped to 31% and 38% respectively. The findings for participation in overseas terrorist training and/or combat are similar to the U.S: this applied to 72% of British converts and 49% of non-converts who mobilized before 9/11, then 6% vs. 26% after 9/11. Unlike in the U.S., however, there has been little difference in terms of planning attacks: 23% of British converts vs. 26% of non-converts were involved in attack planning prior to 9/11, compared to 20% and 23% respectively since then. Lastly, when it comes to lone actors, the results are again very similar to the American sample: among British converts, lone actors rose from 0–14%, compared to 2–7% among non-converts. A final variable of interest for the purposes of this paper relates to the use of informants and/or undercover law-enforcement operatives within CT investigations. Here there are very substantial differences. Prior to 9/11, 36% of American converts, vs. 25% of non-converts were caught in such investigations. After 9/11, the respective percentages were 60% vs. 45%. Meanwhile, in the U.K., no converts and just 2% of non-converts who mobilized prior to 9/11 were caught in investigations using informants/undercover operatives. After 9/11, these figures rose to 14% vs. 5%. The above findings clearly suggest that American converts in particular are far more likely to be socially and economically marginalized on a variety of indicators compared to non-converts. They are also much less likely to have trained or fought overseas and more likely to act alone, as well as more likely to be involved in domestic attack plots and to be caught in sting operations. British converts also tend to be disadvantaged (notably with regards to unemployment and criminality) but otherwise appear to be slightly better off than their American counterparts and closer to the rest of the British sample. Similar to American converts, they are less likely to have trained or fought overseas and more likely to act alone, but otherwise there are no obvious, dramatic differences (bearing in mind that the number of British converts was smaller, meaning that percentages were easily skewed). The disparity between these results and those of Simcox and Dyer comes down to methodology. By utilizing a wider sampling frame, the present study included a greater number of relevant cases, such as Jesse Morton (one of the founders of Revolution Muslim, later convicted of soliciting murder), Ruben Shumpert (killed in a missile strike in Somalia in 2008), Troy Kastigar (reportedly killed fighting for al-Shabaab in 2009), and Naser Jason Abdo, who was charged in 2011 (and later convicted) of planning an attack on soldiers in the vicinity of Fort Hood. Moreover, as the above results demonstrate, American converts involved in Islamist terrorist activity have shown a rapid decline in socioeconomic status after 9/11 and so it is equally important to measure changes over time. Likewise, it is of course necessary to continually update analyses and this can obviously give quite different results. Notably, several American converts accused of Islamist terrorist activity in more recent years also appear to have been highly marginalized. These include Nicholas Teausant, who is believed to suffer from schizophrenia and stands accused of planning to join the ‘Islamic State’ (IS) following his arrest in March 2014; Zale Thompson, who had been arrested multiple times and been evicted from his apartment before being killed in an attack on New York City police officers in October 2014; Joshua Van Haften, an ex-convict described as a “mentally ill loner” who was arrested at Chicago airport in April 2015 on suspicion of attempting to join IS; and Alexander Ciccolo, a young man with a long history of mental health and behavioral problems who was arrested on July 4, 2015 on suspicion of planning domestic attacks. Although continued, systematic research will be required to confirm whether or not such cases are indeed part of a continuing trend, they nevertheless provide anecdotal support to the findings presented in this article, which suggest that American converts involved in Islamist terrorism tend to belong to a jihadi “underclass”. Given that this is the case, American converts appear to conform, perhaps more than any other group, to the notion that people are drawn to Islamist terrorism as a result of being marginalized in society. Although this has become a rather stereotyped explanation for involvement in terrorism which tends to ignore the incredibly wide demographic profiles and diverse backgrounds of perpetrators, it at least appears to hold some truth for this category. Among the many thousands of people unable to achieve the ‘American dream’ who are left frustrated and resentful, a small number may thus find the answer in violent jihad as the ultimate counter-culture – one that promises belonging and acceptance, whilst simultaneously providing opportunities for excitement and fame and a chance to strike back against those who rejected them. Putting aside debates about the nature of sting operations, this may help explain the greater willingness of American converts to attack their own country. It is also consistent with the suggestion that, for some, converting to Islam in the post-9/11 (now post-IS) world is an act of rebellion and this in turn helps us understand why there seems to have been such a dramatic shift in the average demographic profile of American converts involved in Islamist terrorism. Why, then, would the situation be any different in the U.K.? Of course, neither population of ‘terrorist converts’ is entirely homogeneous and so there is certainly overlap between the two. Nevertheless, there still appears to be a relative difference which is not easily explained. Part of the answer may lie in the fact that Islamist terrorism cases are far more geographically dispersed in the U.S., there are far fewer connections between cases on the domestic stage and the Internet appears to play a comparatively greater role in processes of radicalization – meaning that violent jihadists in the U.S. often mobilize either by themselves or as part of relatively self-contained groups and there are few barriers to ‘membership’ in the movement. By comparison, Islamist terrorism cases in the U.K. are confined within a much smaller area (dominated by four regional hotspots of activity) and there are many more connections between them. This is indicative of socially ingrained jihadist subcultures within Britain, manifest by way of networks of likeminded individuals with varying degrees of involvement in extremist activism and terrorism-related activities. Presumably, these networks exert a certain level of natural control over who is able to join, which might therefore exclude people suffering from mental health disorders for instance. Moreover, the relative continuity of extremist networks in Britain may also have preserved the ‘quality’ of ideological understanding and expression in the sense that new recruits can often draw upon the knowledge and advice of more experienced individuals. By contrast, terror networks in the U.S. were largely dismantled during the 1990s and those who radicalize today are more likely to be essentially self-taught – thereby allowing wider participation and an apparently greater emphasis on specifically rebellious/counter-cultural elements over time. The more established presence of extremist networks within Britain might help to explain another possible difference between these two countries. According to Simcox and Dyer, British converts (though fewer in number than Americans) seem to be proportionally over-represented within Islamist terrorism cases in the U.K., accounting for 15% of their sample of terrorists but only an estimated 4% of the U.K. Muslim population. Meanwhile, they found that the number of American converts involved in Islamist terrorism was proportional to their place within the U.S. Muslim population (both 23%). If true, the relatively high proportion of British converts might be due to the fact that they are more likely to come into contact with, and/or be deliberately targeted for recruitment by extremist networks (notwithstanding that 14% were classed as lone actors). However, there is no register of converts in either country and the overall numbers of Muslims are also approximations, meaning the above figures must be treated with caution. Moreover, recent research has suggested that converts are also over-represented in Islamist terrorism cases in the U.S. Of 71 people arrested in America on ISIS-related charges since March 2014, Vidino and Hughes found that 40% were converts, compared to an estimated 23% for the Muslim population as a whole. Although based on a relatively small sample, this suggests that the proportion of converts involved in Islamist terrorism in the U.S. has increased quite dramatically. Furthermore, the proportional difference is considerably greater than appears to be the case in the U.K. If indeed this is now the case, it seems likely that it is connected to the increased significance of social media as a vehicle for terrorist propaganda and recruitment. Ultimately, however, the reality is still very much unclear and there are no currently definitive answers which explain the different profiles and rates of mobilization of British and American converts involved in Islamist terrorism. The available data indicate that, contrary to previous research, American converts are in fact now worse off than non-converts on socioeconomic measures and although this also applies to British converts, the latter are much less distinct. Similar to previous research, the results here confirm that American converts in particular present a much less capable terrorism threat and are more likely to be acting alone. Nevertheless, they are also more likely to be involved in domestic attack plots within the U.S. and are more likely to be caught in sting operations. Since converts make up a significant (and apparently growing) proportion of Islamist terrorism cases in the U.S., it is important to try and understand more about how and why such highly marginalized individuals are drawn to violent jihad. Ultimately, this may lead to more efficient ways of dealing with them. Indeed, the fact that American converts are especially likely to be caught in stings and often receive lengthy custodial sentences, makes them an added burden on law enforcement and society. Given that these individuals are socially and economically deprived and frequently suffering from mental health problems, intuitively it seems they might be more amenable to practical, “soft” interventions that emphasize social, financial and psychological support as opposed to more complex ideological “de-radicalization”. Of course such interventions will not always succeed, but amidst the current climate of strained budgets and increased mobilization to violent jihad, there is a clear need to look for alternative approaches to CT. Just as American converts seem to be especially vulnerable to radicalization and recruitment, they may present equally soft targets for CT or for countering violent extremism (CVE). Whether or not this is true –and whether it might also apply in Britain– will require further research. Similarly, although British converts do not appear to be as distinct as those in the U.S., they exhibit relatively high rates of unemployment and criminality and (though small in number) may be proportionally over-represented in Islamist terrorism cases. It is therefore necessary to examine them more closely in order to understand how and why they mobilize to violent jihad and just how different they are, both to non-converts in the U.K. and to converts in the U.S. More generally, there is also a need to compare ‘terrorist converts’ to non-violent converts in each country in order to establish whether the former are representative of the latter in terms of demographic characteristics. Finally, it is of course necessary to update this research in light of the significant increase in terrorist activity, largely inspired by events in Syria and Iraq, in which substantial numbers of converts continue to be involved. Dr. Samuel Mullins is a Professor of Counter-Terrorism at the George C. Marshall European Center for Security Studies, Germany, and an Honorary Principal Fellow at the University of Wollongong, Australia. Converts included in the analysis are listed in chronological order according to when they began. Details include individual names, brief case description, offence period, and classifications (grounds for inclusion at the time the study was completed). Co-offenders are listed together. Wadih El-Hage. AQ operative. 1982–1998. Prosecuted. Ephron Gilmore. NY/NJ network, fought overseas. 1988–Unknown. Public allegations. Daniel Patrick Boyd and Charles Boyd. Trained in Afghanistan. 1989–1991. Confession/Public allegations. Christopher Paul. AQ links, planning attacks. 1990–2007. Prosecuted. Abu Ubaidah Yahya. NY/NJ network. 1992–1993. Public allegations. Kelvin E. Smith. NY/NJ network, provided training. 1993. Prosecuted (non-terror). Earl Gant. NY/NJ network. 1993. Prosecuted (non-terror). Clement Rodney Hampton–El and Victor Alvarez. NYC Landmarks plot. 1993–1993. Prosecuted. Aukai Collins. Fought in jihadi conflicts abroad. 1993–1996. Confession. Jason Pippin. Trained in Kashmir, involved with Tarek Mehanna. 1996–2003. Confession. Abu Adam Jibreel al-Amriki. Killed in Kashmir. 1997–1998. KIA. Adam Gadahn. AQ spokesman. 1997–Ongoing. Confession. Jose Padilla. AQ operative. 1998–2002. Prosecuted. Earnest James Ujaama. Oregon training camp. 1999–2001. Prosecuted. Randall Todd Royer, Hammad Abdur–Raheem, Donald Thomas Surratt, Yong Ki Kwon. Virginia jihad group. 2000–2003. Prosecuted. 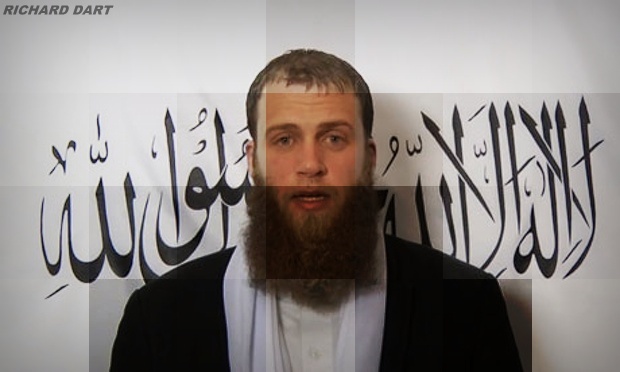 Hassan Abu Jihaad. Disclosed navy secrets. 2000–2001. Prosecuted (non-terror). John Walker Lindh. American Taliban. 2000–2001. Prosecuted. Jeffrey Leon Battle, Patrice Lumumba Ford and October Martinique Lewis. Portland jihad group. 2001–2002. Prosecuted/ Prosecuted (non-terror). Clifton L. Cousins. Threatened George W. Bush. 2001–2003. Prosecuted (non-terror). Rafiq Abdus Sabir. Offered support for AQ. 2001–2005. Prosecuted. Ryan Anderson. Tried to give military info to AQ. 2004. Prosecuted (non-terror). Mark Robert Walker. Planned to join Somali jihadis. 2004. Prosecuted. James Elshafay. NYC subway bomb sting. 2004. Prosecuted. Kevin James, Levar Washington and Gregory Patterson. LA attack plot. 2004–2005. Prosecuted. Justin Singleton. Discussed jihad online, lied to FBI. 2005. Prosecuted (non-terror). Paul Gene Rockwood Jr and Nadia Rockwood. Jihadi hit–list. 2006–2010. Prosecuted/Prosecuted (non-terror). Mohammed Reza Taheri–Azar. North Carolina vehicle attack March 3, 2006. Prosecuted (non-terror). Russell DeFreitas. JFK airport plot. 2006–2007. Prosecuted. Ruben Luis Leon Shumpert. Joined al-Shabaab. 2006–2008. KIA. Omar Shafik Hammami. Joined al-Shabaab. 2006–2013. Legal allegations/Confession/KIA. Daniel Patrick Boyd. North Carolina jihadi plotters. 2006–2009. Prosecuted (repeat offender). Carlos Eduardo Almonte. Conspiracy to join al-Shabaab. 2006–2010. Prosecuted. Derrick Shareef. Mall attack sting. 2006. Prosecuted. Daniel Joseph Maldonado. Joined al-Shabaab. 2006–2007. Prosecuted. Bryant Neal Vinas. AQ operative. 2007–2008. Prosecuted. James Cromitie, David Williams, Onta Williams and Laguerre Payen. NYC attack sting. 2008–2009. Prosecuted. Barry Walter Bujol Jr. Conspiracy to join terrorists overseas. 2008–2010. Troy Matthew Kastigar. Minnesota jihadi network. 2008–2009. KIA. Colleen Renee LaRose and Jamie Paulin–Ramirez. Conspiracy to support terrorists overseas. 2008–2009. Michael C. Finton. Springfield, Illinois attack sting. 2009. Prosecuted. Abdulhakim Mujahid Muhammad. Little Rock shooting, June 1, 2009. Prosecuted (non-terror). Zachary Adam Chesser and Jesse Curtis Morton. Online threats, attempt to join terrorists overseas. 2009–2010. Prosecuted/Prosecuted (non-terror). Emerson Winfield Begolly. Promoting terrorism online. 2010. Prosecuted. Antonio Benjamin Martinez. Baltimore attack sting. 2010. Prosecuted. Randy Lamar Wilson. Planned to go to Mauritania for jihad. 2010–2012. Prosecuted. Marcus Dwayne Robertson and Jonathan Paul Jiminez. Jihadi facilitation network. 2010–2011. Prosecuted/Legal allegations/Prosecuted (non-terror). Walli Mujahidh and Abu Khalid Abdul-Latif. Seattle military attack sting. 2011. Prosecuted. Naser Jason Abdo. Planned attack near Fort Hood. 2011. Prosecuted. Jose Pimentel. NYC attack sting. 2011. Legal allegations. Craig Benedict Baxam. Attempted to join al-Shabaab. 2011. Legal allegations. Arifeen David Gojali, Ralph Kenneth Deleon and Miguel Alejandro Santana Vidriales. Conspiracy to join AQ/Taliban. 2011–2012. Legal allegations. Shelton Thomas Bell. Attempted to join jihadists in Yemen. 2012. Legal allegations. Justin Kaliebe. Attempted to join jihadists in Yemen. 2013. Prosecuted. Erwin Antonio Rios. Plan to commit armed robberies to fund jihad (sting). 2012–2013. Prosecuted (non-terror). Matthew Aaron Llaneza. Oakland attack sting. 2012–2013. Legal allegations. Nicole Lynn Mansfield. Killed fighting in Syria. 2012–2013. KIA. Eric Harroun. Fought in Syria. 2013. Prosecuted (non-terror)/Confession. David Sinclair. Killed in Bosnia. 1993. KIA. Xavier Jaffo. Killed in Chechnya, April 12, 2000. 1995–2000. KIA. Andrew Rowe. International terrorist. 1995–2003. Prosecuted. David Courtailler. FPM network. 1997–2000. Overseas conviction (France). Jerome Courtailler. FPM network. 1997–2001. Overseas conviction (Netherlands). Abdullah el-Faisal. Jihadi ideologue. 1998–2002. Prosecuted. Abu Abdul Rahman Roland. Killed in Afghanistan. 1998–1999. KIA. Richard Reid. Shoe–bomb plot. 1998–2001. Overseas conviction (US). Dhiren Barot. US/UK attack plots (AQ). 2000–2004. Prosecuted (non-terror). Martin John Mubanga. Alleged terrorist activity. 2000–2002. Gitmo detainee. Feroz Abbasi. Alleged terrorist activity/FPM network. 2000–2001. Gitmo detainee/Confession. Binyam Mohammed. Alleged terrorist activity. 2001–2002. Gitmo detainee. Richard Dean Belmar. Alleged terrorist activity. 2001–2002. Gitmo detainee. Jamal Malik al-Harith. Alleged terrorist activity. 2001. Gitmo detainee. Abu Omar. Fought in Afghanistan. 2001–2002. Confession. Jamal Abdullah Kiyemba. Alleged terrorist activity. 2001–2002. Gitmo detainee. Anthony Garcia. Fertilizer bomb plot (Operation Crevice). 2003–2004. Prosecuted. AP. Went to join jihadis in Somalia. 2004–2006. Control order. Atilla Ahmet, Kibley da–Costa and Mohammed al-Figari. UK training camps. 2004–2006. Prosecuted. Jermaine Lindsay. 7/7 bombings. 2004–2005. KIA. Abu Izzadeen and Simon Keeler. Soliciting funds for terrorism (AM). 2004. Prosecuted. Abdul Ishaq Raheem. Terror–supply network/Beheading plot. 2004–2007. Prosecuted. Umar Islam. Aircraft liquid bomb plot (Operation Overt). 2005–2005. Prosecuted (non-terror). Yeshiemebet Girma. 21/7 post–event assistance. 2005. Prosecuted. Kevin Gardner. Army base attack plan. 2006–2007. Prosecuted. Nicholas Roddis. Bomb hoax. 2007. Prosecuted. Andrew Isa Ibrahim. Planned attack in Bristol. 2007–2008. Prosecuted. Mohammad Abdulaziz Rashid Saeed–Alim. Attempted suicide bombing in Exeter, May 22, 2008. Prosecuted. M1. Suspected terrorist activity. 2008–2009. Deported. Matthew Ronald Newton. Manchester terrorism recruitment. 2008–2009. Prosecuted. J1. London Somali jihad cell. 2009–2010. Detention/Deportation. Abu Bakr and Mansoor Ahmed. Killed in Pakistan. 2009–2010. KIA. Richard Dart. (Attempted) overseas training/Planning domestic attack. 2010–2012. Prosecuted. Minh Quang Pham. Joined al-Qaeda in the Arabian Peninsula (AQAP). 2010–2011. Legal allegations (US). Nicholas Roddis. Preparing for acts of terrorism. 2011–2012. Legal allegations (repeat offender). Robert Baum and Christian David Erkart Heinze Emde. Possession offences. 2011. Prosecuted. Samantha Lewthwaite and Jermaine Grant. Planning attacks (al-Shabaab). Legal allegations (Kenya). Maryam. Joined jihad in Syria. 2013–Unknown. Confession. Michael Adebolajo and Michael Oluwatobi Adebowale. Murder of Lee Rigby, May 22, 2013. Legal allegations (non-terror). Royal Barnes and Rebekah Dawson. Encouraging acts of terrorism online. 2013. Legal allegations. Robin Simcox and Emily Dyer, “The Role of Converts in Al-Qa`ida-Related Terrorism Offenses in the United States” CTC Sentinel, 6 (3) (2013) https://www.ctc.usma.edu/posts/the-role-of-converts-in-al-qaida-related-terrorism-offenses-in-the-united-states. Accessed April 2, 2013. These data were collected and analyzed by the author over a period of approximately seven years (see Sam Mullins, ‘Home-Grown’ Jihad: Understanding Islamist Terrorism in the US and UK (London: Imperial College Press, forthcoming). After also dividing each sample into converts versus non-converts, this resulted in 8 different sub-samples: For the U.S., the pre-9/11 sample consisted of 143 individuals (25 converts, 118 non-converts) while the post-9/11 sample included 222 individuals (51 converts –1 of whom was a repeat offender from before 9/11– and 172 non-converts). By comparison, the U.K. pre-9/11 sample included 139 individuals (13 converts, 126 non-converts) and the post-9/11 sample included 288 (34 converts –including 1 repeat offender during the post-9/11 period– and 254 non-converts). Note that all percentages reported for the present study refer to the number of known individuals as a function of the respective sub-sample total. Note that the number of U.S. converts before and after 9/11 adds to 76, although the true number of individuals is 75. This is because one person (Daniel Boyd) committed separate offences in both time-periods. All other repeat offenders, both American and British, are excluded from the totals in order to show the actual number of people involved. This is consistent with research conducted by Kleinmann, who found that 19 of 32 American converts showed evidence of individual-level mechanisms of radicalization (including mental health problems), compared to just 5 of 51 non-converts (Scott Matthew Kleinmann, “Radicalization of Homegrown Sunni Militants in the United States: Comparing Converts and Non-Converts” Studies in Conflict and Terrorism, 35(4) (2012) 278–297. Regarding involvement in terrorism plots, Simcox and Dyer do not report provide clear, comparative figures. Including plots involving undercover operatives and excluding attacks that were actually completed. Defined here as lone, untrained individuals acting independently of any organization or group (also excluding terrorism offenders who were caught in sting operations where they plotted together with undercover operatives). “Leader of Revolution Muslim Pleads Guilty to Using Internet to Solicit Murder and Encourage Violent Extremism” US Department of Justice, February 9, 2012, http://www.justice.gov/usao/vae/news/2012/02/20120209mortonnr.html. Accessed February 10, 2012. Sara Carter, “Somalis in U.S. Draw FBI Attention” The Washington Times, December 29, 2008 http://www.washingtontimes.com/news/2008/dec/29/somalis-in-us-draw-fbi-attention/print/. Accessed June 13, 2010. Laura Yuen, “Sixth Minn. Man Reportedly Dies in Somalia” Minnesota Public Radio, September 11, 2009, http://minnesota.publicradio.org/display/web/2009/09/11/somali-death/. Accessed June 27, 2011. “Jury Convicts Naser Jason Abdo on All Counts in Connection with Killeen Bomb Plot” US Department of Justice, May 24, 2012, http://www.justice.gov/usao/txw/press_releases/2012/Abdo_conviction.pdf. Accessed May 25, 2012. Sam Stanton and Denny Walsh, “Lodi-area Man Charged with Trying to Join Islamic State May Be Mentally Ill” The Sacramento Bee, December 2, 2014, http://www.sacbee.com/news/local/crime/article4248423.html. Accessed December 2, 2014. Michael Schwirtz and William Rashbaum, “Attacker With Hatchet Is Said to Have Grown Radical on His Own” The New York Times, October 24, 2014, http://www.nytimes.com/2014/10/25/nyregion/man-who-attacked-police-with-hatchet-ranted-about-us-officials-say.html?partner=rss&emc=rss&smid=tw-nytimes&_r=0. Accessed October 26, 2014. “Mom: Son Arrested at O’Hare, Accused of Trying to Join Islamic State has Mental Illness” Chicago Tribune, April 8, 2015, http://www.chicagotribune.com/news/nationworld/chi-wisconsin-islamic-state-20150411-story.html. Accessed April 9, 2015. Bob Dunn, “Alexander Ciccolo: Adams Man’s Path Divided Between Peace and Violence” The Berkshire Eagle, July 16, 2015, http://www.berkshireeagle.com/local/ci_28496106/alexander-ciccolo-adams-mans-path-divided-between-peace. Accessed July 26, 2015. This is not to suggest that these are the only motives for converting to Islam and becoming involved in Islamist terrorism, or that converts’ expectations are always met. For more on these issues see: Jahangir E. Arasli, “Violent Converts to Islam: Growing Cluster and Rising Trend” Combating Terrorism Exchange, 1(1) (2011) https://globalecco.org/en_GB/ctx-v1n1/violent-converts-to-islam. Accessed November 29, 2015; Monika Gabriela Bartoszewicz, Controversies of Conversions: The Potential Terrorist Threat of European Converts to Islam (University of St. Andrews: Unpublished doctoral thesis, 2013) https://research-repository.st-andrews.ac.uk/bitstream/10023/3676/3/MonikaGabrielaBartoszewiczPhDThesis.pdf. Accessed November 29, 2015; M.A. Kevin Brice, A Minority Within a Minority: A Report on Converts to Islam in the United Kingdom (Faith Matters: 2010) http://www.portmir.org.uk/assets/islam-and-muslims/a-minority-within-a-minority—a-report-on-converts-to-islam-in-the-uk—faith-matters.pdf. Accessed November 29, 2015; Matthew Kleinmann, “Radicalization of Homegrown Sunni Militants in the United States”; Leon Moosavi, “Are Converts More Likely to be Extremists than Other Muslims?” The Guardian, May 24, 2013,http://www.theguardian.com/commentisfree/belief/2013/may/24/islam-converts-woolwich-attackers-extremists. Accessed November 29, 2015; Milena Uhlmann, “European Converts to Terrorism” Middle East Quarterly, 15(3) (2008) http://www.meforum.org/1927/european-converts-to-terrorism. Accessed November 29, 2015. Simcox and Dyer, “The Role of Converts in Al-Qa`ida-Related Terrorism Offenses in the United States”. For a more detailed discussion relating to estimates of the number of converts to Islam in the U.K. see Brice, A Minority Within a Minority. Lorenzo Vidino and Seamus Hughes, ISIS in America: From Retweets to Raqqa (George Washington University: Program on Extremism, 2015) 7, https://cchs.gwu.edu/sites/cchs.gwu.edu/files/downloads/ISIS%20in%20America%20-%20Full%20Report.pdf. Accessed December 2, 2015.